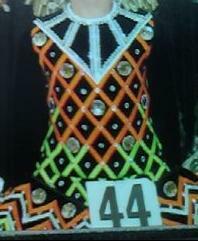 Stunning Siopa Rince dress, only 6 months old. 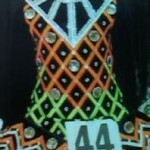 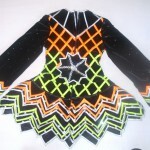 This dress is black velvet with green and orange criss-crosses down the middle. 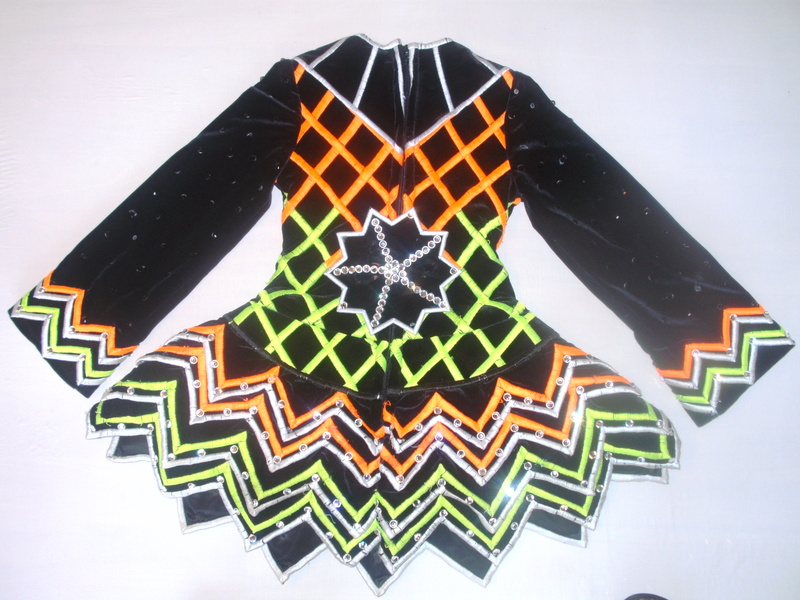 The dress is completed with lots of small black and clear swarovski diamonds and numerous large ones down the front. 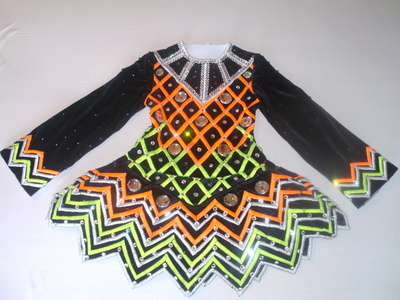 This dress has amazing stage presence and catches the light beautifully.